Schedule your next inspection today! FREE Home Inspections until the end of year! Unwanted critters try to enter homes undetected and uninvited. Oftentimes, these animals will take up residence within local houses, completely unbeknownst to the homeowner. Thankfully, Triad Wildlife Experts offers residential and commercial inspections and animal prevention services throughout North Carolina’s Triad region. Some animals can be very sneaky, as well as very destructive to local property. Give squirrels a small opening, and they’ll chew into your home in no time at all. They need something to chew on, so why not make it your home? 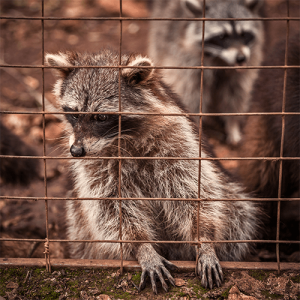 With the help of Triad Wildlife Experts, you won’t have to ever contend with this issue. Allow our team to analyze your property to prevent nuisance animals from making it their home. Triad Wildlife Experts specializes in wildlife inspections throughout local homes and businesses. We’ll scour your entire property in an effort to keep your space free of any unwanted wildlife and critters. Not only do we offer competitive pricing to our customers, but we can also restore your carefree lifestyle. You’ll never have to worry about animals invading your space again! Contact our team today, and stop worrying about any unwanted wildlife. With our assistance, you’ll never have to empty your wallet to repair animal-based damage throughout your property. You’ll rest easy at night knowing that our certified team is on the scene. Call 336-645-8659 to learn more. The primary objective of any control program should be to reduce damage in a practical, humane and environmentally acceptable manner. Wildlife managers and wildlife control operators (WCOs) use control methods based on the habits and biology of the animals causing damage. By using methods matched to the nuisance species, control efforts will be more effective and will serve to maximize safety to the environment, humans and other animals. A key to controlling wildlife damage is prompt and accurate determination of which animal is causing the damage. Even someone with no training or experience can sometimes identify the pest by thoroughly examining the damaged area. Because feeding indications of many wildlife species are similar, other signs – such as droppings, tracks, burrows, nests or food caches – are usually needed to make a positive species identification. After the wildlife pest is identified, control methods can be chosen appropriate to the animal species involved. Improper control methods may harm but not kill the animal, causing it to become leery of those and other methods in the future. For example, using traps and poison baits improperly or in the wrong situation may teach the animal that the control method is harmful. This may make the animal difficult to control later, even with the correct method. Correctly identify the species causing the problem. Alter the habitat, if possible, to make the area less attractive to the wildlife pest. Use a control method appropriate to the location, time of year, and other environmental conditions. Monitor the site for re-infestation in order to determine if additional control is necessary. Physically excluding an offending animal from the area being damaged or disturbed is often the best and most permanent way to control the problem. Depending upon size of the area to be protected, this control method can range from inexpensive to prohibitively costly. For example, damage by birds or rabbits to ornamental shrubs or garden plants can be reduced inexpensively by placing bird netting over the plants to keep the pests away. On the other hand, fencing out deer from a lawn or garden can be more costly. Materials needed for exclusion will depend upon the species causing the problem. Large mammals can be excluded with woven wire fences, poly-tape fences, and electric fences; but many communities forbid the use of electric fencing in their jurisdictions. Small mammals and some birds can be excluded with netting, tarp, hardware cloth or any other suitable material; nets come in different weave sizes suitable for different animals to be excluded. However, exclusion can interfere with the natural movement of wildlife, particularly when exclusion covers large areas of land. Modifying an animal’s habitat often provides lasting and cost-effective relief from damage caused by nuisance wildlife. Habitat modification is effective because it limits access to one or more of the requirements for life – food, water or shelter. However, habitat modification, while limiting nuisance wildlife, may also limit desirable species such as songbirds as well. Bird- or bat-proofing buildings by sealing cracks and holes prevents these animals from gaining access to suitable habitats where they are not welcome. Storing seed and pet food in tightly closed containers, controlling weeds and garden debris around homes and buildings, and storing firewood and building supplies on racks or pallets above ground level are also practices that can limit or remove the animals’ sources of food, water or shelter. Using a repellent that changes the behavior of an animal may lead to a reduction or elimination of damage. Several available repellents, such as objectionable-tasting coatings or odor repellents, may deter wildlife from feeding on plants. Other repellents such as sticky, tacky substances placed on or near windows, trees or buildings may deter many birds and small mammals. Unfortunately, most wildlife soon discover that repellents are not actually harmful, and the animals may quickly become accustomed to the smell, taste or feel of these deterrents. However, even under the best of conditions, repellents frequently fail to live up to user expectations. The reason for this is twofold. First, many repellents simply don’t work. For example, peer-reviewed publications have consistently shown that ultrasonic devices do not drive unwanted animals away. Second, even when the repellent has been shown to work, animals in dire need of food will “hold their nose” and eat anyway because the alternative is essentially death by starvation. Repellents are most successful (referring to products actually demonstrated by peer-reviewed research to be effective) when animals have access to alternative food sources in a different location. Using traps can be very effective in reducing actual population numbers of certain species. However, many species cannot be trapped without a permit. In most cases, homeowners may trap an offending animal within 100 yards of their residence without a permit, however relocation is often illegal. Traditional live traps such as cage or box traps are easily purchased at most garden centers or hardware stores. These traps allow for safe release of the trapped animal. The release of the animal to another area may be prohibited by state law, or may be regulated by the local Department of Fish and Game. Leghold traps may allow for either release or euthanasia of the trapped animal. Traps such as body-gripping traps, scissor and harpoon traps are nearly always lethal. Knowledge of animal behavior, trapping techniques, and baits is essential for a successful trapping program. Before initiating any wildlife control activities, a person must become familiar with applicable federal, state, and local laws. One way to learn these rules is to contact the state’s wildlife agency, which is usually responsible for selling hunting and fishing licenses. In general, property owners are permitted to prevent wildlife damage through exclusion and habitat modification, though they may be prohibited from disturbing an occupied nest or den, or directly harming an animal. 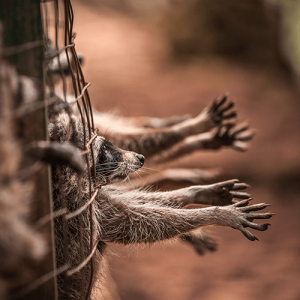 Many regulations exist in the United States concerning animal trapping including trap check intervals, usually requiring all traps be checked at least once during a 24 hour period. Some governments permit relocation of wildlife, however humane considerations must be taken into account before relocating wildlife, including population and habitat.